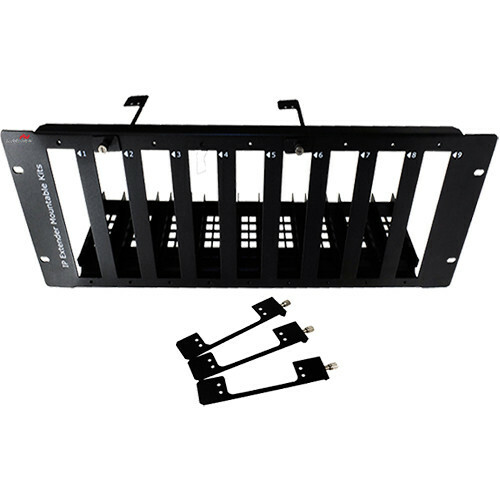 The RK4U-C6VWIP-9 rack mount for HDM-C6VWIP-SET or CNTRLPRO-VWIP is a versatile choice conserving space and allows easy access to installed devices. This rack mount features a quick and easy way to add/remove devices with one simple screw. Rugged steel construction and a black textured powder coat finish.